Simple slipped stitches help mix up variegated colorways of sock yarn - and make the knitting speed by smoothly! 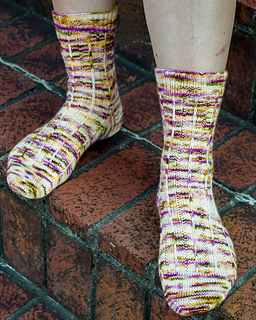 This sock pattern is worked top-down with a heel flap. Charts and written instructions are provided. 1 skein, shown in Garden Party.